I'm not sure about you but I love Sam's Club. My parents have a membership and I love to go with my Mom whenever she goes. I was very excited when Sam's Club and General Mills contacted me a few weeks ago and asked me if they could send me a Sam's club membership upgrade to "Plus Membership" and a $25 Sam's Club gift card to review. Now I am really excited to renew my membership so that I can get my membership upgrade. As you all know my oldest daughter is getting ready to start Kindergarten very soon. I have been scrambling to get everything in order before she starts but I still have a lot to do. Top on my list is to go to Sam's club and pick up food for Maddie's school lunches and maybe check out some of their clothes and books. I love Sam's Club's book section! I do know that when I go to Sam's I am going to check out all of the snack items I buy to make sure they have Box Tops for Maddie's School. 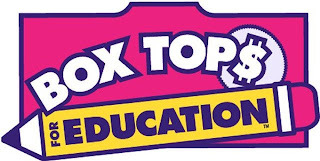 My sister is a Kindergarten teacher and I know how important the Box Tops are to the schools. For an easy solution for your back to school needs, you should head over to your local Sam´s Club from Aug. 11 through Aug. 31 and earn more cash for your school. At the Sam´s Club Back-to-School event, you can get a head start on your collection and find 6 Box Tops on participating General Mills products. 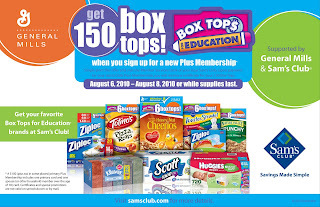 Sam's Club is your one-stop destination with your favorite Box Tops for Education brands at a great value. 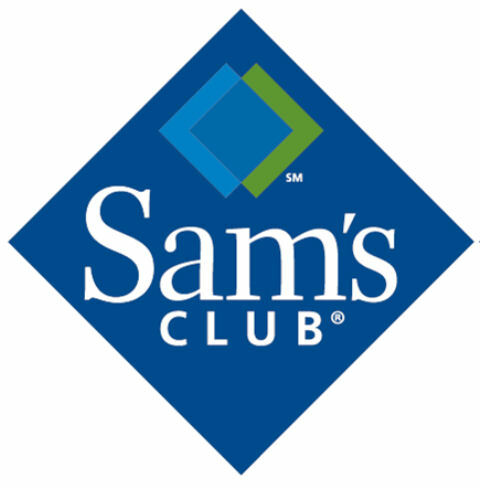 Sam's Club and General Mills are also offering a $25 Sam's Club Gift Card to one lucky reader! 1. Leave a comment letting me know what is your child's favorite General Mills product. The Winner will be chosen using a random number generator. All entries must be received by Friday, Aug. 20, 2010 at 11:59 CST. The winner will be announced Saturday, August 21, 2010. For U.S Addresses Only. MyBlogSpark is responsible for sending the prize. My kids love the new Chocolate Cheerios that have come out. They also like Chocolate Chex. My preference is the Chex since it is a little lower in sugar, but the Cheerios are fine, too! My kid's favorite General Mill's item has to be Go-GURT. They love it! My kids are big cereal eaters, so we love the new chocolate cheerios too!! So yummy! I am already a follower too! Nature Valley Roasted Cashew Granola Nut Clusters :) *Thanks* for the giveaway! My boys love Cinnamon Toast Crunch, but I could probably say any cereal in general! Honey Nut Cheerios with bananas is a standard at our house! My daughter likes Cocoa Puffs. My family STILL loves Cheerios the best! Cheerios! My daughter's been eating them for sixteen years. Not sure how to add your button to my blog but you're on my blog list - does that count? Last one - added you as a Facebook friend just the other day! My kids like honey nut cheerios. Favorite would be cinnamon toast crunch. They eat it for a snack too. Thanks for leaving the note that this can be used at wal-mart! we don't have a sams club so I skipped right over it! We eat a lot of General Mills ceareal - not sure which would be the favorite! I'm already a facebook friend! My daughter is a huge fan of Cheerios in the yellow box. She doesn't like to venture out much! We love Cheerios around here- Honey Nut, Multigrain and good old plain ones! The kids love Chocolate Cheerios!